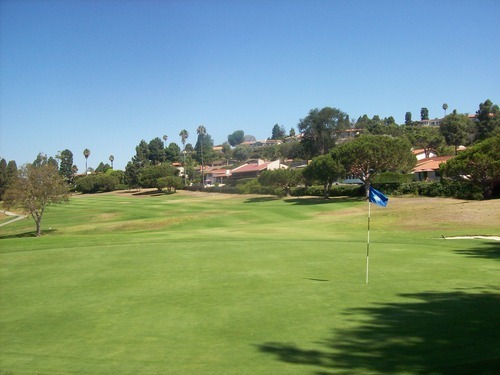 I played here today in a one-day SCGA tournament. I’ve participated in a couple of these events in the past, but today was mainly about having a convenient excuse to come back and revisit Los Verdes. The only other time I played here was quite a few years ago. 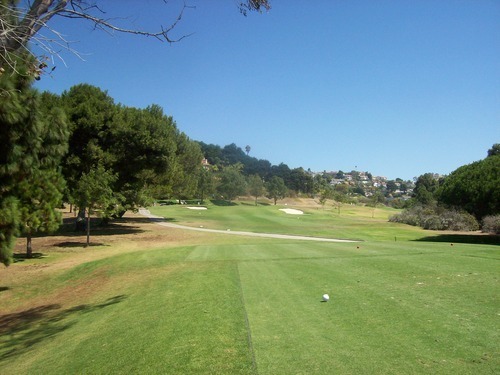 I really liked the course then, but it has a reputation for slow play and big crowds (especially on weekends when I play mostly). 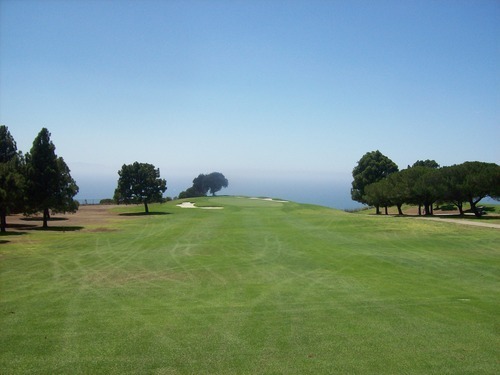 Plus, getting out to Rancho Palos Verdes always seems like a hassle, so it helped to know I’d have a tee time with the group. I still expected the pace of play to be slow with a tournament setting, but oh well. The pace was a story as it was pretty brutal at just under 5.5 hours. I was in the 8:28 group, but we teed off about 10-15 minutes after that. 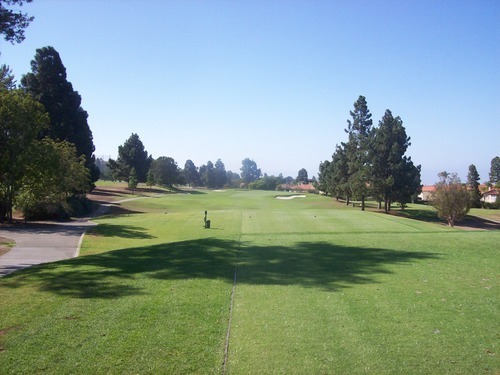 The first few holes were really slow, but then it seemed like things were starting to open up a little. Things came to a grinding halt on the back nine because they had the 10th tees playing way up because of a wedding they were setting up for on the back tee box. This made the hole reachable for many. 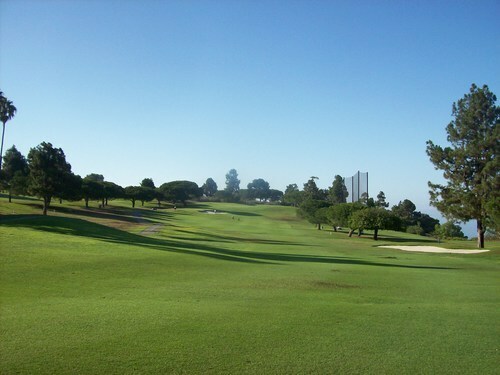 That hole backed by 11th, which is also a short par-4 and then the par-3 12th. It was a big time bottleneck. The price was $55 for the tournament entry. That included a small bucket of range balls, but not a cart. I walked anyway. 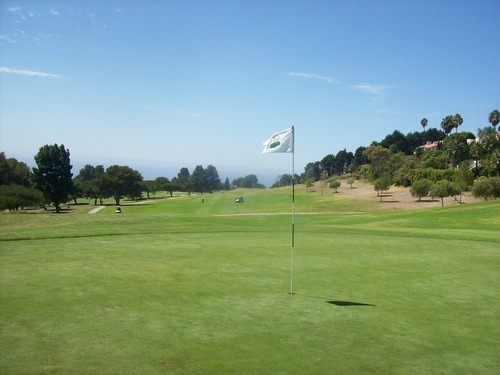 It has been so hot here in Southern California lately, playing on the coast was a welcome relief. It was beautiful out, though it was a tad humid early on. Once the ocean breeze kicked up, it was very refreshing. 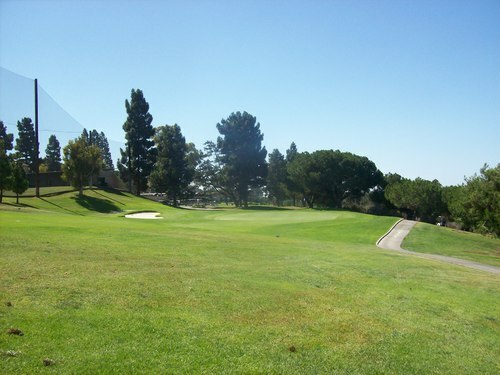 Once that breeze turned into a stiff wind on the back nine, it really made the course even tougher. 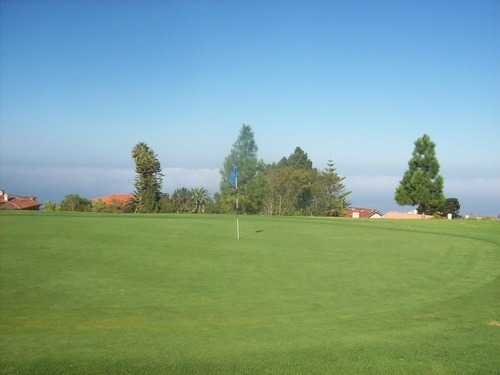 The reason Los Verdes gets so much play is because it’s a special treat to play ocean-view golf at municipal course prices. 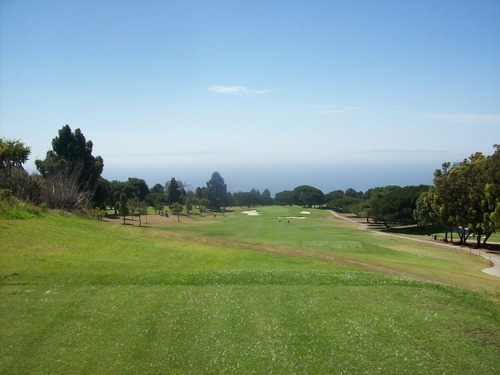 It is managed by LA County, but the setting is fantastic in Rancho Palos Verdes. 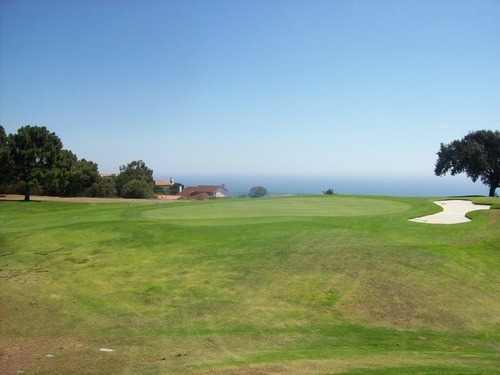 It sits higher up on the hill than Trump National or Terranea, but you still get some excellent views of the water and Catalina Island. 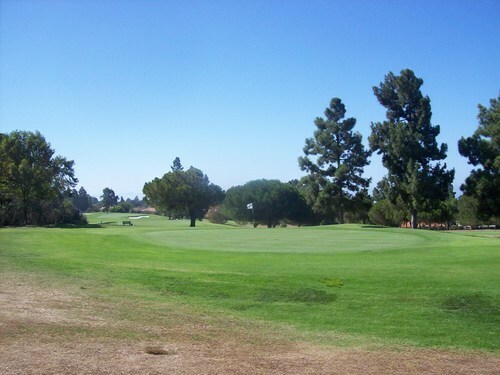 Parts of it have a Torrey Pines feel (holes 15-16 especially). It is not nearly as awe-inspiring as Torrey, but then again they do not gouge out-of-towners here. 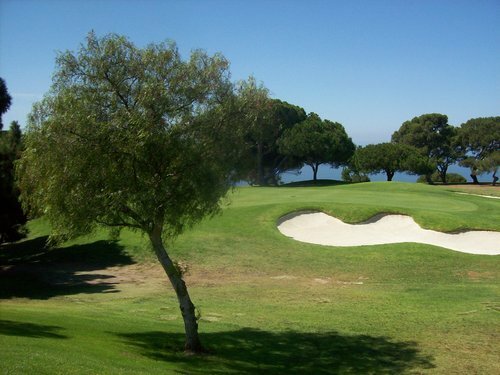 You can play here for a good rate all week long. I mentioned 15 and 16, which are fantastic holes. 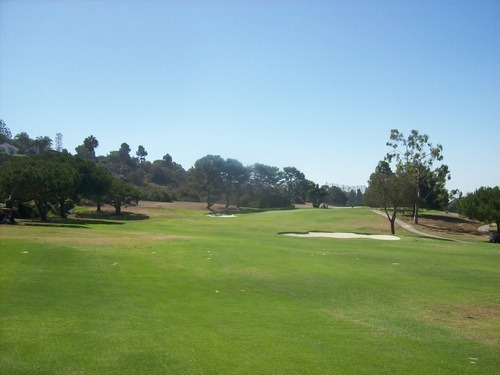 The 15th is a long, dogleg left par-4 with the approach view toward the ocean. 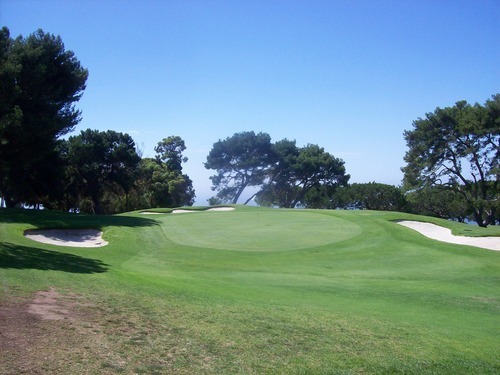 The 16th is a nice par-5, doglegging left along a hillside. 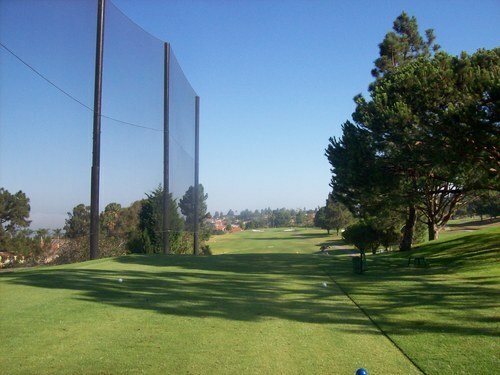 The 11th hole is definitely the other one that would get the most attention. 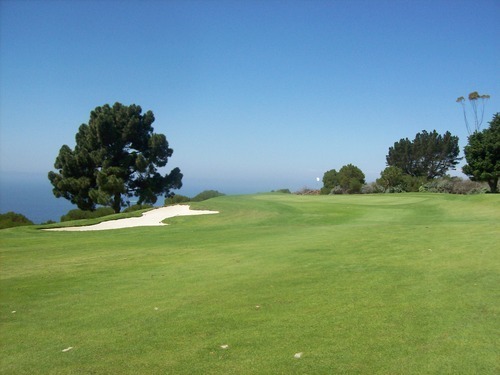 It’s just over 300 yards from the blue tees, but plays straight down the hill and also offers a nice elevated ocean view. It’s a really fun and beautiful hole. 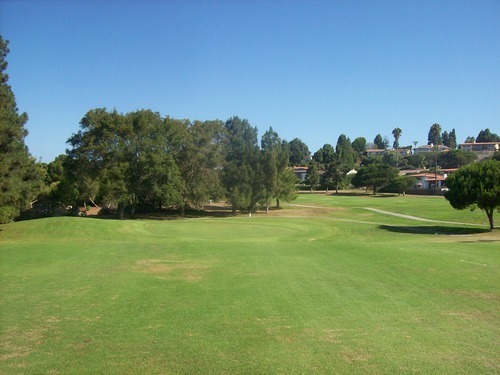 This is a classic old style course with a hilly layout and very few flat lies on the course. 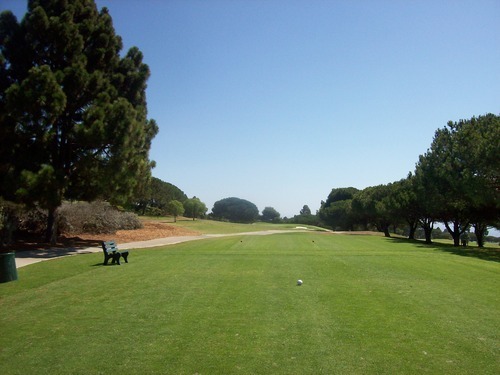 Many of the fairways slope severely toward the ocean and that slope will definitely have a major effect on your putts, too. 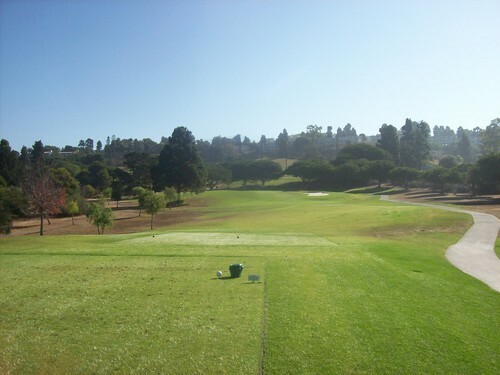 There are a few short holes mixed in with a few really long ones, so it’s a good test of different aspects of your game. I thought Los Verdes was in overall good shape today. The tee boxes were very good. 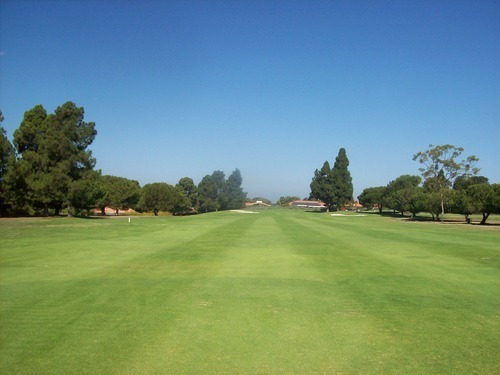 The fairways had their thin spots, but were mostly quite good in my opinion. 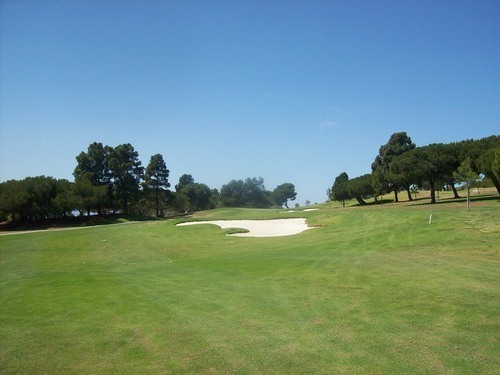 The rough was a mixed bag as they obviously aren’t devoting much water to those areas. There were some bare dirt patches, the occasional thick lush patch and everything else in between. You got what you got and just had to make it work. I wasn’t in a bunker, but they looked nice. 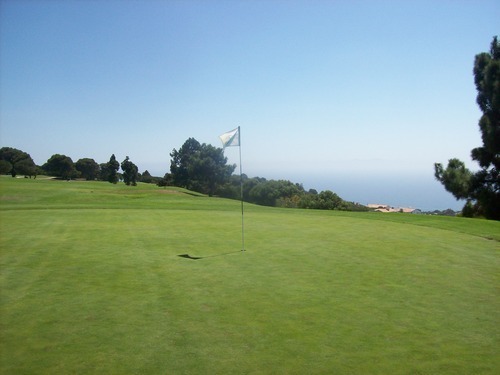 I thought the greens were excellent, rolling at good speeds and very true. Los Verdes is a course that I recommend everyone making a point to play at least once. 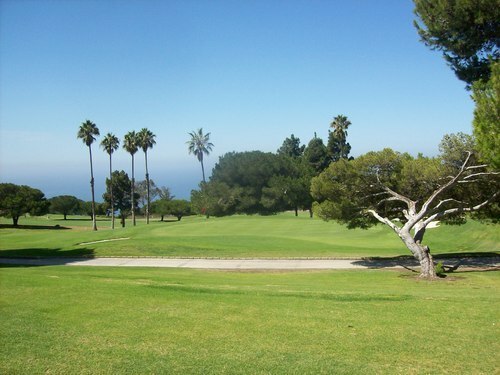 The handful of ocean views are great and they generally keep it in solid shape. Being a county course that gets to much play, I would never expect things to be pristine here. 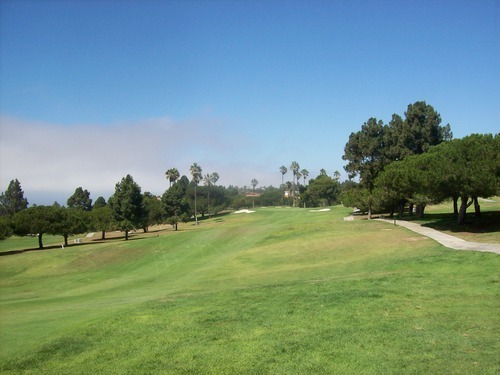 Getting out to Rancho Palos Verdes is a bit of pain and dealing with the crowds is definitely a major deterrent, as well, but I hope it’s not as long of a wait before I’m playing here again.